To allow Apache Wink to locate this service as a REST web service, you can either define an additional class or configure an application file. We are using an application to mention all our web service. 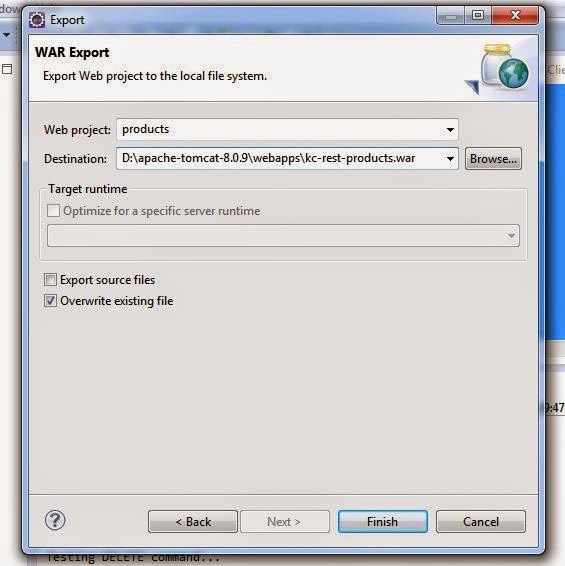 You can place this under WEB-INF/ and name the file as simply ‘application’ (without any extension). 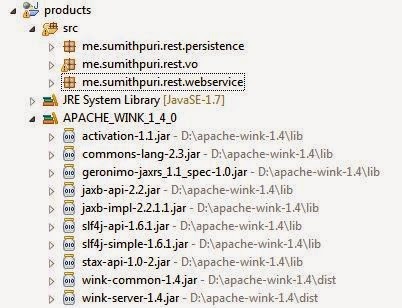 In this blog, you have seen how to build REST web services using Apache Wink for basic data types. Next, I will blog on how to include Jackson or Jettison as the stream reader or stream writer JSON libraries, so that we can read and write complex or application object types. It will be titled ‘REST Using Apache Wink and Jackson/Jettison’.